A Federal High Court in Abuja has issued a warrant against the Department of State Services (DSS) to produce the immediate past National Security Adviser, Retired Colonel Sambo Dasuki. 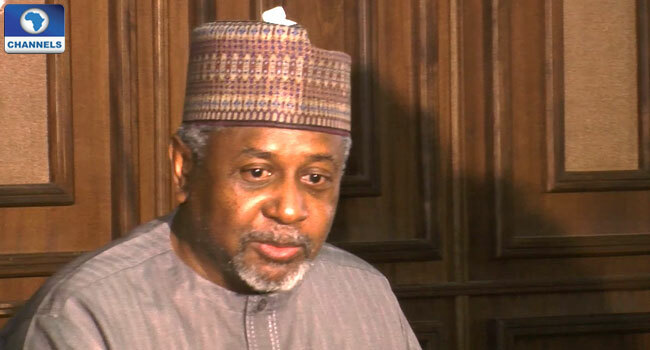 Justice Hussein Baba-Yusuf gave the order following a request by the Prosecutor Oluwaleke Atolagbe who asked that the court grants an order to enable Retired Colonel Dasuki to appear in court to answer to charges against him by the Federal Government. At the resumed trial today, the prosecutor told the court that he was ready to proceed with the trial as he has a witness who came all the way From Port Harcourt, but the absence of the 1st defendant in court remains a challenge. Counsel to Colonel Dasuki, Mr. Victor Okwudili, however, expressed surprise that the prosecution is asking about whereabouts of his client when he knows where he is. He maintained that the 1st defendant is in the custody of the prosecution and it behoves on the prosecution to produce him.